How Does Smoking Affect Appetite? The effect of nicotine is to increase blood pressure and pulse rate. It also regulates the movement of food through the digestive tract, thereby resulting in a decreased food intake on a continuous basis. Smoking tobacco causes many diseases and disorders that affect almost all parts of the body. 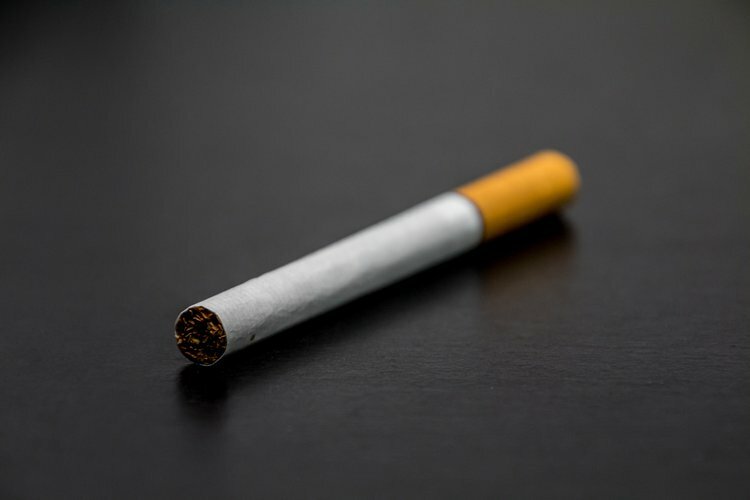 The U.S. Department of Health and Human Services (part of CDC) informs that tobacco smoke causes the maximum number of preventable diseases and deaths in the country. Some of the main health risks of smoking include cancer (oral, lung, digestive tract, cancer, and many others), respiratory illnesses (like chronic bronchitis and pneumonia), and heart conditions. However, over eight decades, it has been believed and accepted that smoking suppressed one’s appetite, helping prevent weight gain. Though generally the converse is more commonly true, meaning that quitting smoking may increase one’s body weight due to increased appetite and increased body metabolism rates. Nicotine in tobacco smoke acts as an appetite suppressant, which is common knowledge among smokers. Due to this, adolescents and teenagers, especially young women who are weight conscious, may gravitate towards early cigarette smoking, says study research. Copeland and Carney (2003) researched into the expectations from smokers and non-smokers (all young undergraduate women) with respect to the association between restrained dietary habits and smoking. They found that those who smoked had more positive expectations of weight loss or weight control from smoking than those who did not smoke. Also, those who smoked heavily had much higher expectations than those who smoked only weekly. Moreover, a study on a group of 7-12 year olds by Copeland in 2007 revealed that nearly 38% of children agreed that “smokers are thinner than non-smokers,” and over 50% agreed that “smokers eat less than non-smokers.” Krug and colleagues in 2008 studied the influence smoking had as a tool to control weight gain among individuals with eating disorders (anorexia and bulimia among others). It was found that patients with eating disorders were at a higher risk of using cigarette smoking for weight loss as a control tool to limit weight gain than other healthy participants of the research. The effect of nicotine is to increase blood pressure and pulse rate. It also regulates the movement of food through the digestive tract, thereby resulting in a decreased food intake on a continuous basis. Furthermore, the nervous system modifies one’s eating habits, which again adds to lowered food consumption. Insulin levels are also affected by nicotine to the effect that cravings for sugary foods gets reduced. Studies also indicate that hunger gets diminished due to the effect of the hormone adrenaline on the stomach. Giving up smoking improves one’s taste buds, and individuals generally tend to enjoy foods better, giving them a better and larger appetite. The National Cancer Institute (NCI) informs that weight gain is a common withdrawal symptom associated with quitting smoking, due to nicotine cravings. Also, smoking triggers upon quitting (triggers that make you long for a tobacco smoke) may include taking alcoholic drinks or enjoying a meal. Anger, frustration, depression, and stress are some of the other withdrawal symptoms. These may cause individuals to take recourse to eating more than they normally do, thus leading to weight gain. Per NCI, most people who quit smoking may gain up to 10 pounds, which may move some of them into the overweight or obese category. Thus, it can be concluded that both smoking and quitting smoking can significantly influence one’s appetite and consequently, weight loss or gain. However, there is no debate on which of the two choices are better – whether to smoke or to give up smoking! Giving up smoking is always the only choice that is universally recommended. Munafò MR, Tilling K, Ben-Shlomo Y. Smoking status and body mass index: A longitudinal study. Nicotine and Tobacco Research 2009; 11(6):765–771. Parsons AC, Shraim M, Inglis J, Aveyard P, Hajek P. Interventions for preventing weight gain after smoking cessation. Cochrane Database of Systematic Reviews 2009; Issue 1. Art. No.:CD006219. Copeland, A. L., & Carney, C. E. (2003). Smoking expectancies as mediators between dietary restraint and disinhibition and smoking in college women. Experimental and clinical psychopharmacology, 11(3), 247.
peland AL, Diefendorff JM, Kendzor DE, Rash CJ, Businelle MS, Patterson SM, Williamson DA. Measurement of smoking outcome expectancies in children: the Smoking Consequences Questionnaire-Child. Psychology of Addictive Behaviors. 2007;21(4):469–77. Krug, I., Treasure, J., Anderluh, M., Bellodi, L., Cellini, E., Di Bernardo, M., ... & Fernández-Aranda, F. (2008). Present and lifetime comorbidity of tobacco, alcohol and drug use in eating disorders: A European multicenter study. Drug and alcohol dependence, 97(1), 169-179. Jo, Y. H., Talmage, D. A., & Role, L. W. (2002). Nicotinic receptor‐mediated effects on appetite and food intake. Journal of neurobiology, 53(4), 618-632.
von der Goltz, C., Koopmann, A., Dinter, C., Richter, A., Rockenbach, C., Grosshans, M., ... & Kiefer, F. (2010). Orexin and leptin are associated with nicotine craving: a link between smoking, appetite and reward. Psychoneuroendocrinology, 35(4), 570-577. Gregersen, N. T., Møller, B. K., Raben, A., Kristensen, S. T., Holm, L., Flint, A., & Astrup, A. (2011). Determinants of appetite ratings: the role of age, gender, BMI, physical activity, smoking habits, and diet/weight concern. Food & nutrition research, 55. Jessen, A., Buemann, B., Toubro, S., Skovgaard, I. M., & Astrup, A. (2005). The appetite‐suppressant effect of nicotine is enhanced by caffeine. Diabetes, Obesity and Metabolism, 7(4), 327-333. Chen, H., Hansen, M. J., Jones, J. E., Vlahos, R., Bozinovski, S., Anderson, G. P., & Morris, M. J. (2007). Regulation of hypothalamic NPY by diet and smoking. Peptides, 28(2), 384-389. Bryant, E. J., King, N. A., & Blundell, J. E. (2008). Disinhibition: its effects on appetite and weight regulation. Obesity Reviews, 9(5), 409-419.